Businesses have become very sophisticated today. It is even much likely that most sellers and producers never get to see the actual clients who consume their goods, and vice versa. These complex business operations have called for use of similarly complex marketing systems commonly referred to as business logistics. It comprises of several related processes, all of which are aimed at efficiently making goods and services available to customers for consumption. They involve a lot of planning procedures all of which take place inside or outside the producing agent, that are aimed at making the goods and services available to clients in a timely and reliable manner. Due to the complexity of their nature, business logistics call for software systems for their implementation. The systems must be friendly to the users and at the same time solve their needs. 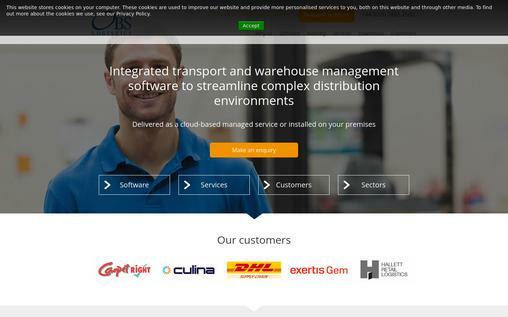 This article discusses the 10 best Logistics Software available in the market today. Carego offers complete workflow management services. It has the best step by step guided logistics management processes. It also offers tracking services for its clients. Workingmodules– Carego offers its services in modules. The application model for example allows for both branch and corporate installations. It also assures high speeds operations even in low-performance computers. It is usually the most active module of Carego. Central management system – Abusiness manager can control all operations from a centralized point. It allows them to see all the business activities and control them easily. Data restoration services- Carego support online data restoration features. It is very useful an efficient software used in analyzing business related data. Carego has other several desirable features. It supports a desktop app which can be easily installed. This makes it flexible enough to use Carego. Jaix is a product of an Australian Transport Management Software Company. It provides a very effective goods and services transportation which includes; courier management services, taxi trucks, and distribution services. Growth management service – If your business is growing fast, Jaix is the best logistics software to adopt. It provides ways to manage such fast growing business. Integrated suite – Jaix is built in a model that allows all business needs and activities to be integrated into the same suite. Technology advances – Jaix changes with technology. Current trend in logistics that is incorporated in the software suite is immediately released into the market. 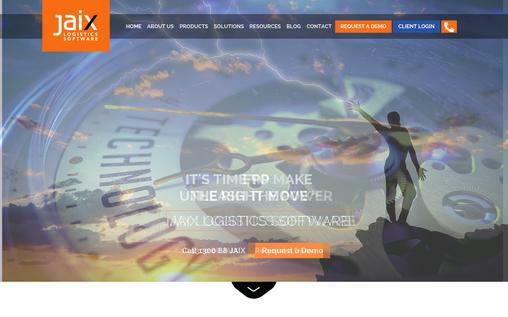 Jaix is the best logistics software for fast-growing businesses and the latest technology. Ramco is cloud based software. It helps businesses manage all end to end operations, especially transportation of goods and services like in courier services. Communication and networking – You can easily communicate with your field staff members and clients using Ramco network services. This helps you know what clients want and what the field team has delivered so far. Freight forwarding– This feature allows mangers to view all end to end operations. It helps much in optimizing revenues and business incomes. 3PL services – Ramco helps you grow an intimate client-business relationship. This is through the delivery of exact needs of the clients using Ramco 3PLS. 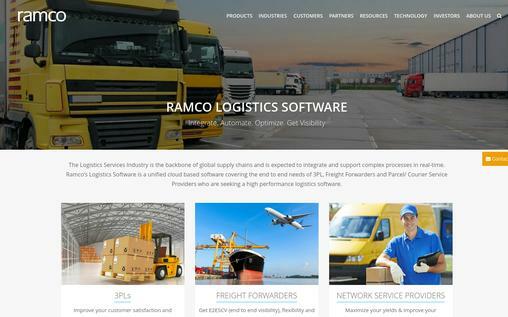 Ramco is one of the best logistic software available in the market today. Above are just some of its many features. The most powerful feature of WebXpress is its ability to manage the whole business cycle all visualized on the same screen. Transportation and 3PLs management – You will be able to manage all your transportation activities and end to end customer activities. Fleet management – WebXpress allows you manage all your fleet transporting your goods and services. This helps you to avoid delayed services. Data warehousing – You can store all your business and related data all in the same warehouse while using WebXpress. 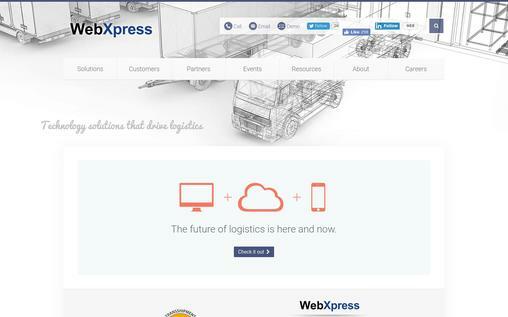 From transportation management to warehousing technologies, WebXpress ranks among the best logistics software. Soloplan has been in the logistics business for about 2 decades now. It provides all comprehensive solutions for transportation and forwarding of goods. Management of transport and planning – Soloplan has developed a new logistics tool known as CaRLo. The tool covers all transportation management plans and activities. Shipping and forwarding– You can view and control all activities covering shipping and forwarding of goods. When using Soloplan, shipping and forwarding are made very easy. Documentation management – Soloplan helps you put all your information and documentation records in an online archiving platform. That way, you can access them whenever you want. Having been in the business for 20 years now, Soloplan is one of the best logistics software. Softlink offers a wide range of business logistics tools. It is also cloud based which translate to ease of access and mobility. 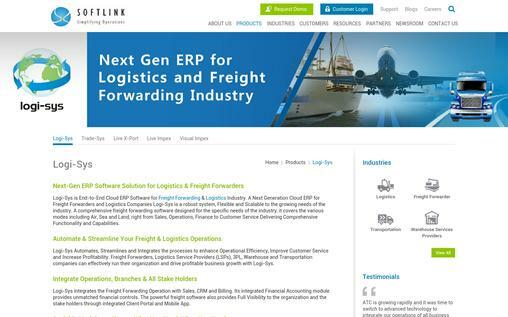 Best freight forwardinglogistics– Softlink has integrated software called Logi-Sys. This is a cloud-based end to end management software for all freight forwarding and logistics business needs. Automated fright logistics – Logi-Sys software helps automate and streamline all your business process. This enhances management and leads to efficiency in business operations. Flexible modules – Softlink operates in different modules. This feature allows different business choose on the best module that suits their need the most. The Logi-Sys software is one of the most powerful business logistics tools. It makes business management simple and easy for business managers. 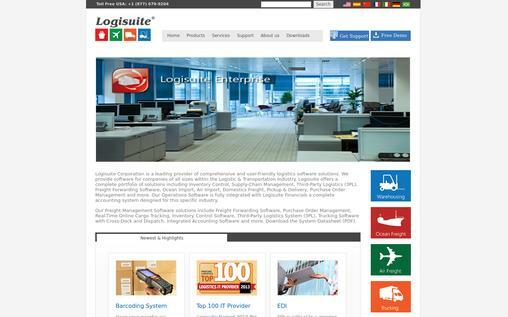 Logisuite provides for business logistics to all kinds and sizes of business. It has diverse features, like inventory control methods, 3PLs, and freight forwarding services. Freight forwarding services – You can access all types of freight forwarding services; from cargo warehouses, air freight exports and pick and delivery services with Logisuite software. 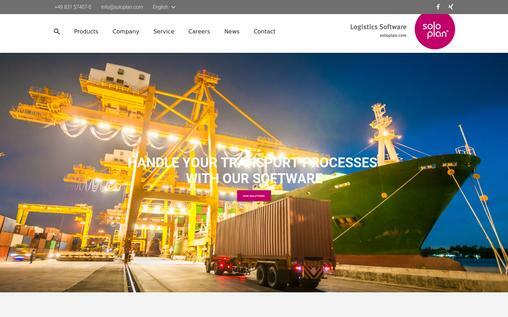 Third party logistics – Logisuite takes care of all 3PLs needs. From shipping orders management, sales order coordination and item inventory managements. Online tracking system – This feature helps always keep you updated with what is going on with your business. It also helps you know which clients have or haven’t been serviced. Logisuite is suitable for both big and small businesses. Having all logistics related features, Logisuite is one of the best logistics software in the market. Obs-logistics software integrates goods transport management system and warehousing management software to come up with a complex business management system. Cloud-based – Obs-logistics is cloud based. This means it can be accessed from any gadget and from any part the business manager is. Data warehousing – Accurate and complex data warehousing process can be run using Obs-logistics software. 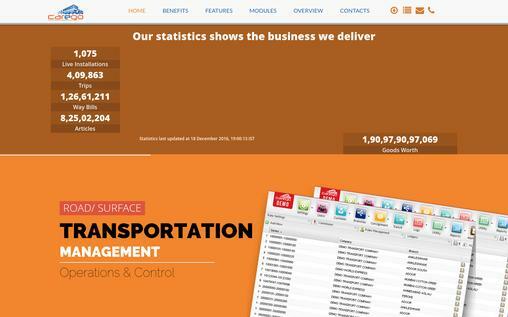 Transport systems – Obs-logistics has integrated transport management software. It helps managers execute distribution plans for their goods and services. With several integrated features for various business needs, Obs-logistics offers some of the best business logistics plans. Magaya brings all the players and activities involved in a supply chain together. Business managers can control and visualize them for a centralized place. Cargo system – Magaya offers an integrated logistics software which helps in all international and related freight forwarding activities. Warehouse managing systems – With their WMS systems, business managers have full control of all movements of products and goods within a certain warehouse. Effective distribution system – This is an effective easy to use distribution system. It allows all players in business supply chain get a friendly and efficient goods distribution system. Supply chain management – The software provides all services and logistics involved in moving goods and services form the producer, through wholesalers to the consumer. Magaya offers a friendly yet very effective business logistics services. 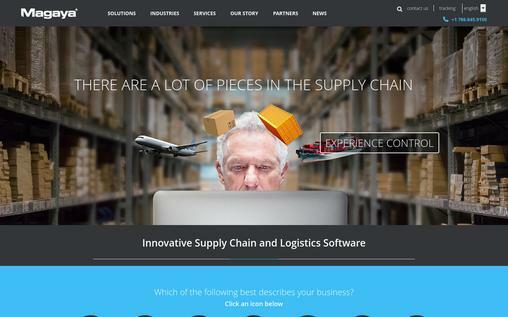 It is currently one of the best logistics software to adopt. Sagar offers some of the most affordable yet effective logistics plans. It helps business management teams improve their services and delivery, especially in warehousing and purchase management. Cost control – Sagar streamlines productivity so that the production cost and the selling price of the products can be compared and controlled accordingly. Tradingpartnerships– Sagar helps business to come up and improve existing partnerships. This helps the business grow and increase incomes. Logistics – Sagar has some of the best business logistics. They are easy to use and friendly to most business managers. 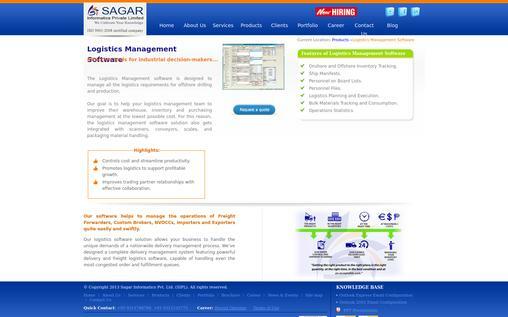 With so many integrated features, Sagar is one of the best logistics software. It focuses on helping a business grow, as well as a gainpartnership with other companies. With the much competition in the market for clients, businesses must ensure that their products and services are always available to consumers. The whole supply management system is a complex process, involving a lot of sub-process. It is therefore essential to use complex yet friendly software systems. The above logistics software are the best in the market today.